Hello beautiful earthlings! (I wonder if this should be my thing now?) 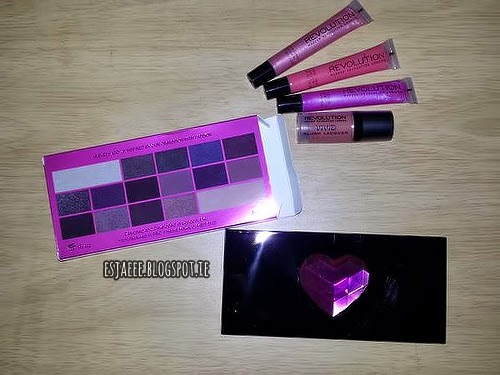 I have finally received my package from Makeup Revolution that I ordered on 26th December. It took approximately 10 days for me to receive it from the UK. Though I think they normally ship faster than that since I ordered it during the busy holiday season. 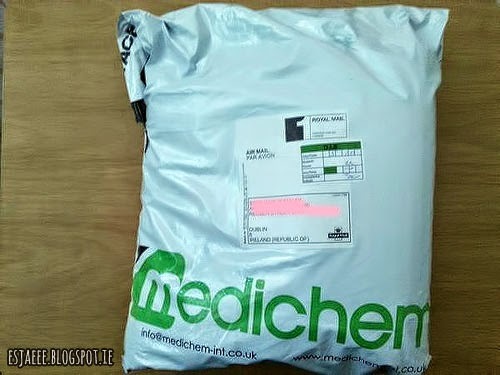 The package came like this in a plastic packet with Medichem and my postal address written on it. 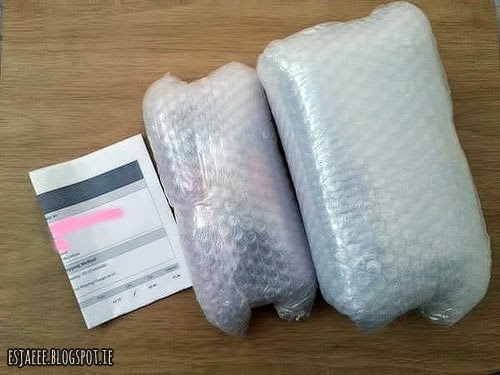 When I opened the packet, it had the items wrapped well in bubble wrap as well as my invoice. The bubble wrapped items on the right was what I purchased and the one on the left was a free promotional gift during Boxing Day. I have to say that I am quite impressed at how they bubble wrapped my purchase. Every gap between the palettes was bubble wrapped. This was what I purchased from the website. 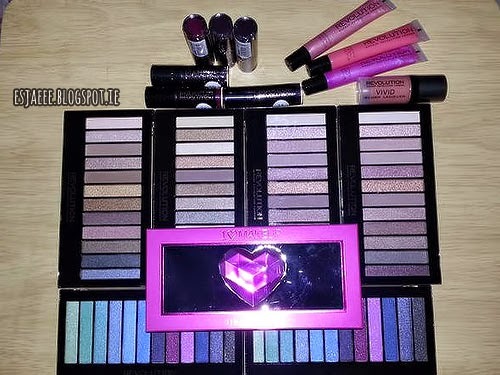 I purchased two of their Full Vamp Lipstick Collection (one for me and for a friend), Iconic 1 (first palette on the left), Iconic 2 (the palette next to Iconic 1 haha), two of Iconic 3 (the last two palettes on the right) and two of the Mermaids Vs Unicorns palette (two at the bottom). The reason why I bought the Iconic palettes was because I can never afford any of the Naked palette. I would love to have one but I have to realistic with my money and I have a lot of saving up to do with college and whatnot. I have heard good reviews about the Iconic palettes being such very close dupes of the Naked palettes so why not give it a shot right? The palettes are priced at €5.05 EACH! And the lipstick collection was only €2.53! Talk about scoring such a deal. This was the free Christmas gift I received with my purchase. I got three lipgloss tubes in Eye to Eye, Touch and Move A Little Closer. I also received the Vivid Blush Lacquer in Heat and the one that made me squeal out of excitement, the I ♡ Makeup's I Heart Passion palette! I am looking forward to trying these products out and give a review. 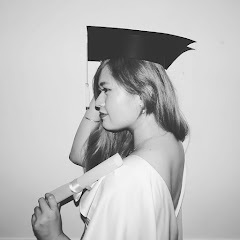 I know I always say that in every blog post but I am still waiting for the day that I will be getting my proper camera. 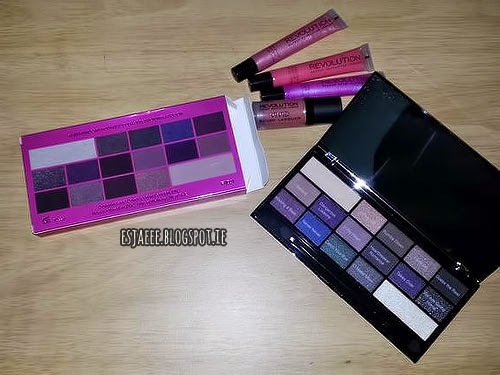 The only thing that made me a little sad was that the palettes (except the I Heart Passion) did not come in a box. I am really into the whole packaging and presentation of a product and that was the only thing that got me down. 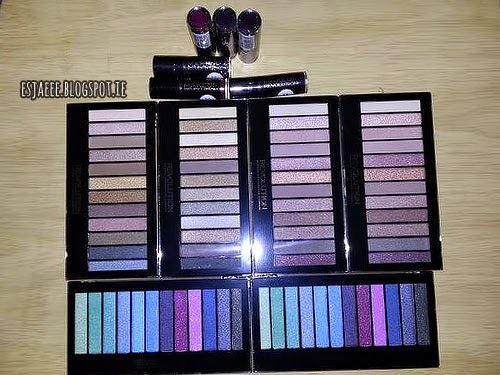 I will be giving two of the palettes as presents and I hope my friends would not mind if it did not have a box with it even though it is still unopened. That's it for now. I have to go back studying for my Management exam for tomorrow and I still have work later at 6 so forgive any grammatical and spelling mistakes since I don't have time to proofread! This reply is one long overdue but it's better late than never right? Thank you so much for taking the time to comment on my blog! The Mermaids Vs. Unicorns is the most vibrant out of them all and the colour pay off is AMAZING for the price you pay!